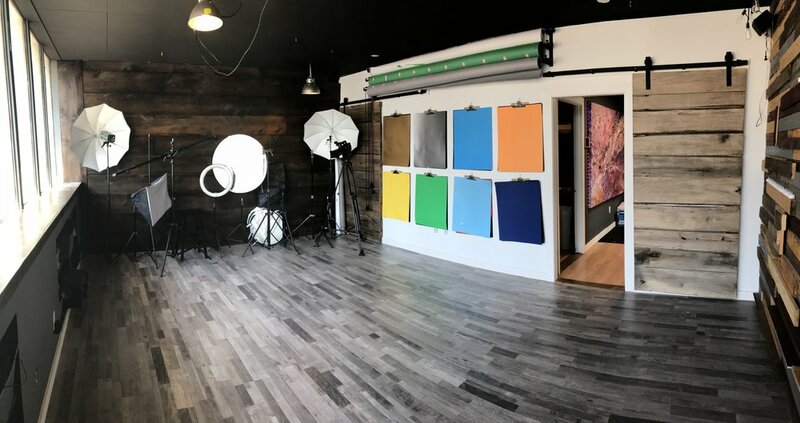 Our studio is available for both hourly and day rates. Our main room features four unique wood textured surfaces. 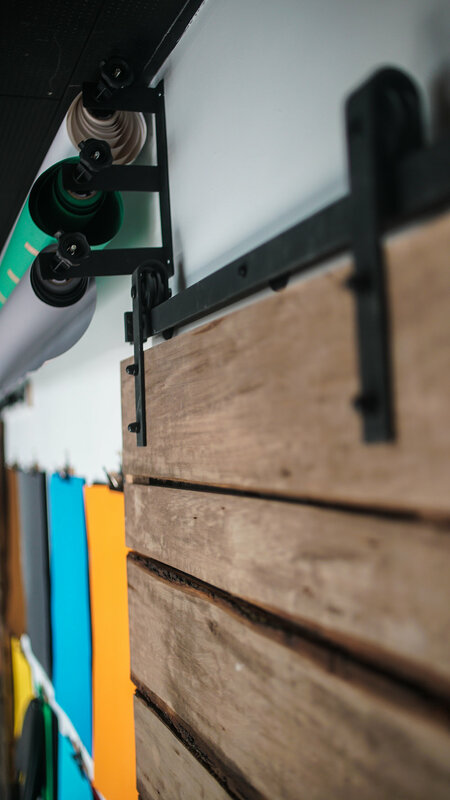 In addition to textured surfaces, paper rolls of pure white, chroma green and studio grey are available. 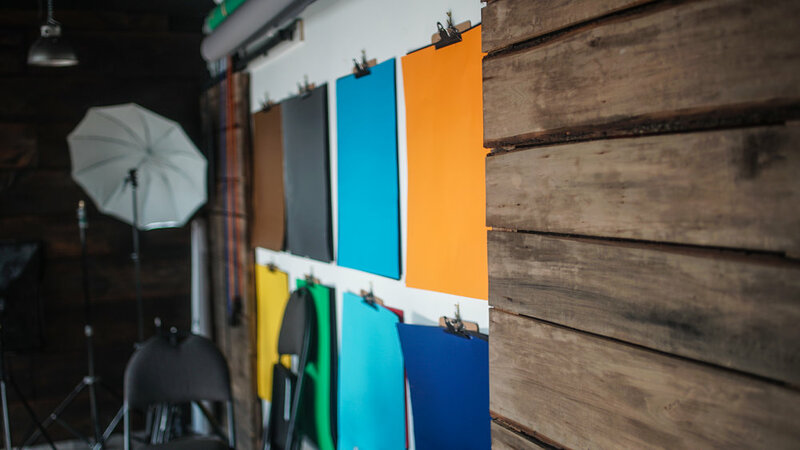 The Kodak Room provides stunning backgrounds for use with headshots, or on camera interviews. Basking in light, our second room features both wood and a metal surface for an edgier look. 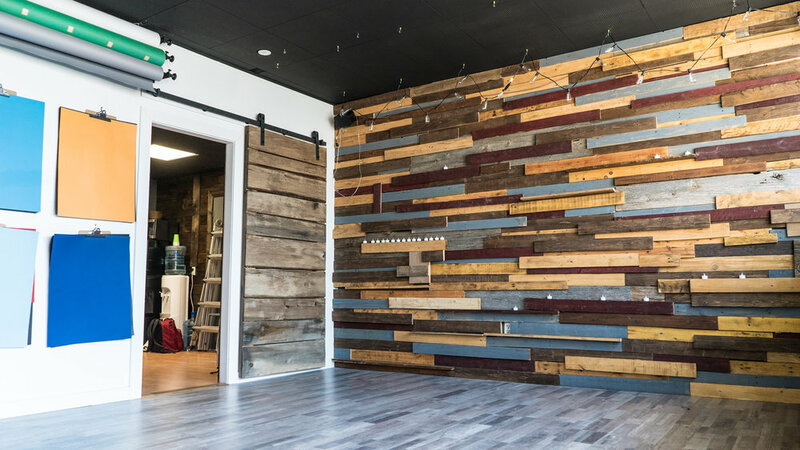 Our wood wall can be custom outfitted with any background imaginable. Designed with audio post production in mind, this small room provides a totally unique visual experience with hand crafted wood diffusion panels.